Sevagram is a small village, situated at the distance of 8 Km from Wardha. Mahatma Gandhi Ji set up his Ashram in the outer reaches of the village where only a thousand people lived. 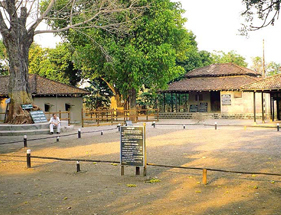 Seth Jamnalal Bajaj of Wardha, a follower of Mahatma Gandhi offered 300 acres of land to the ashram. The ashram later on employed some harijans in the common kitchen to remove caste barrier. The first rural medical college was established in Sevegram, which was named as the Mahatma Gandhi Institute of Medical Sciences. Not only this, an engineering college 'Sevagram College of Engineering' which was later named 'Bapurao Deshmukh College of Engineering' was also established and is run by a rural trust. Many students come to these colleges for higher education.